Effective December 31, 2018, the minimum wage for upstate New York increases to $11.10 per hour. The minimum wage for New York City and Westchester, Suffolk and Nassau Counties is higher. Effective December 31, 2018, the minimum cash wage for tipped food service employees in upstate New York increases to $9.25 per hour, with a tip credit of $1.85 per hour. The minimum cash wage and tip credit for New York City and Westchester, Suffolk and Nassau Counties are higher. Effective December 31, 2018, the minimum salary for exempt executive and administrative employees in upstate New York increases to $ 832.00 per week. The minimum exempt salary for New York City and Westchester, Suffolk and Nassau Counties is higher. New York’s new sexual harassment law requires that all employees receive sexual harassment training by October 9, 2019. Also, all employers were required to adopt a sexual harassment policy meeting certain standards by October 9, 2018. The following changes in the NYS Paid Family Leave Law take effect January 1, 2019. The paid leave period will increase from 8 weeks to 10 weeks per year. Employees taking Paid Family Leave will receive 55% of their average weekly wage (up from 50% in 2018), up to a cap of 55% of the current Statewide Average Weekly Wage ($1,357.11). The maximum Paid Family Leave weekly benefit for 2019 will increase from $652.96 to $746.41. The employee contribution rate will increase from 0.126% to 0.153% of an employee’s gross wages each pay period (capped at the Statewide Average Weekly Wage). An employee’s maximum annual contribution will increase from $85.56 to $107.97. The New York State Department of Labor (“DOL”) has proposed regulations that would require employers to pay non-exempt employees for on-call time, cancelled shifts, or shifts that were scheduled on short notice. The DOL issued revised proposed regulations on December 12, 2018. These proposed regulations are subject to public review and comment through January 11, 2019. It is likely these regulations will be adopted in some fashion as final regulations in the first half of 2019. This will provide a summary of the main components of these proposed regulations. If they are adopted in final form, we will provide a more detailed explanation of the final regulations at that time. DOL regulations currently require that non-exempt employees who report to work be paid call in pay for the lesser of 4 hours or the number of hours in the regularly scheduled shift, at the NYS minimum wage rate. Under the current regulations, if the employee’s regular wages for the week are sufficiently above the minimum wage to cover any call-in pay to which the employee would be entitled, there is no obligation to pay call in pay. The proposed regulations eliminate this provision, so that all covered employees would be entitled to receive call-in pay, regardless of their wage rates. 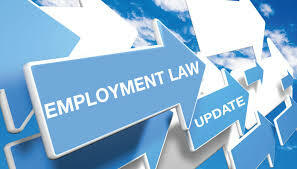 The proposed regulations would require employers to pay employees under the following conditions. All of this additional pay is at the NYS minimum wage, even if the employee’s pay rate is higher. If an employee is required to work a shift on less than 14 days’ notice, the employer would have to pay the employee an additional 2 hours of call-in pay, with some limited exceptions. An employee would be entitled to 2 hours of call-in pay for a shift cancelled with less than 14 days’ notice, or 4 hours of call-in pay paid at when a shift is cancelled less than 72 hours’ notice, with some limited exceptions. An employee who is required to be available to report to work if needed would be entitled to 4 hours of on-call pay. An employee who is required to contact the employer within 72 hours of the start of their shift to confirm whether to report to work would be entitled to 4 hours of call-in pay. Some employees would not be covered by the new regulation. These include employees covered by a collective bargaining agreement that provides for call-in pay; employees who are exempt as professional, administrative or executive employees; public employees; employees who are subject to the Hospitality Industry Wage Order (which includes most restaurants); employees covered by the Building Service Industry wage order; and, certain nonprofit employees. Colligan Law is always prepared to assist you in complying with these laws and the many other laws which apply to employers.